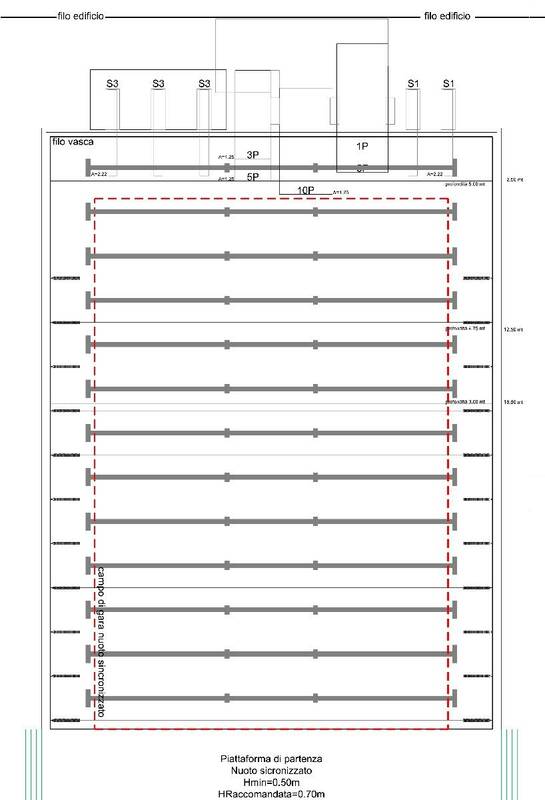 Respecting completely the FINA regulations and security norms, Cemi supplies starting platforms for the synchronistic swimming competition, including stairs for the athletes. Underwater speaker system specially studied and supplied to permit the best audio system in the water, including also an amplifying mixing system and audio repeating system. An automatic computer system permits to control and verify the competition with a FINA approved software. Printing system of the registered information and the measuring system of the judges reply based on the registered results. Control unit with a visual scoreboard for the public with letters and vertical text running and a lightning system which can be programmed and can also show animation.